Dates: March 5th, 12th, 19th, 26th, April 2nd 9th and 23rd. The most important part of the ICC Curriculum is focusing on creating a group mind, working as a whole, being on the same page!. A Long-form Improv comedy show is only as good as the team who perform it. Level 3 on the ICC program concentrates on developing what is called the ‘group mind’: a thorough understanding of how your group functions together. You will develop communication, empathy and adaptability skills – all for the benefit of the group performance. Jay has taught and performed improv professionally for over 25 years and is the founder of Today Improv, where he teaches improv to actors, business, and everybody else, all over the world. He is currently on faculty at M.i.’s Westside Comedy Theater and The Second CityHollywood. Jay was a faculty member of The Second City Chicago, iO Chicago (where he was also head of their artistic committee) and ComedySportz Chicago, and has taught and performed throughout the world, including the BIG IF4, Copenhagen International Improv Festival, Edinburgh Festival Fringe, the New Orleans Comedy Festival, Club Med and the Del Close Marathon. He currently performs with the house team Lucy at Westside Comedy Theater as well as their faculty group. Dates: March 5th 12th, 19th, 26th, April 2nd 9th and 23rd. The underlying elements of L3 are ‘the opening’ and ‘the group game’ – key moments of the ‘Harold’ show structure. Here, the team must work together to create ideas together to inspire the rest of the show. Level 3 focuses on how you develop trust in your team and work unselfishly as a coherent and organic group. You will also learn that with support there are no limits to your creativity! What will I do in this class? Level 3 introduces you to working physically and aurally together to create images and soundscapes on stage as a group. You will learn how to be inspired and inspire others. You will create group characters, build pirate ships, give them a voice, bring the scene to life with sound effects… This course is where you really begin to ‘gel’ with your group and where you discover a unique bond of trust which will take you to different worlds! 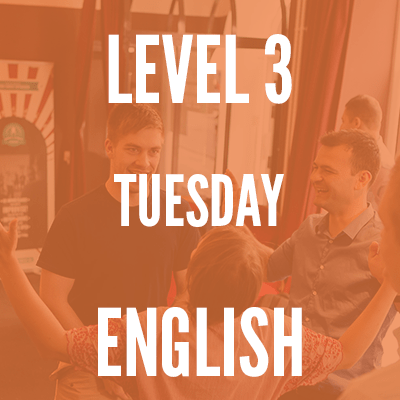 Level 3 is only available as a continuation from the Level 1(A & B) & 2 courses and therefore has the same age requirements (minimum 18 years). How long is this class? 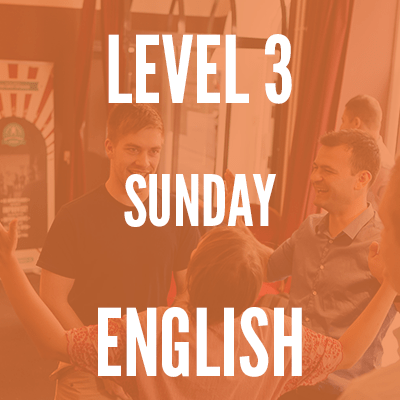 Level 3 is a 7-week course with each session lasting 2.5 hours. All you need to bring with you is clothing that you can move easily in, and notepad and pen to take down the gems of knowledge from your teacher, and an open mind. Will there be a performance? There will not be a performance at the end of the course. Why is this class important? Level 3 is crucial for gaining a true understanding of how important and how reliant you are on your team (and they are on you). You will learn to trust your instincts and those of the people around you. You will also be amazed at how liberating group creativity is, as well as what a wonderful stage spectacle it can be for an audience.